Learning Curve on the Ecliptic: Midweek Musings ~ "They reach out in their mystic language For us to read between the lines." Midweek Musings ~ "They reach out in their mystic language For us to read between the lines." What in the world happened to the Age of Aquarius? It was dawning in the '60s and then just disappeared? The Broadway musical “Hair” has a lot to answer for! It was a song from that show that got hippies and some astrologers over-excited about the Age of Aquarius. Not correct astrologically, but it does rhyme! I like a theory put forward in a book and website, “Signs of the Times” by Robert Fitzgerald. The author divides the lengths of time between astrological ages into slices, more accessible bite-sized chunks called Eras and Phases. At present, according to Mr Fitzgerald, we are in transit through the Age of Pisces. By this author's calculation the Aquarius Era of the Pisces Age ran from 1800 to 1980 - which could well account for some astrologers' insistence that we were already in the Age of Aquarius. Then, dividing time into even smaller slices, 1950 to 1965 becomes the Aquarius Phase of the Aquarius Era of the Age of Pisces....that slice includes the psychedelic 60s - thought to be quite Aquarian, so with a double dose of Aquarius: phase and era, it was.... with a background of Pisces dreaminess. 1965 to 1980 = Pisces Phase, Aquarius Era, Age of Pisces. From 1980 to 2160 is the Pisces Era of the Age of Pisces and we are presently in the Gemini Phase - 2010 to 2025 of the Pisces Era of the Age of Pisces. The Cancer Phase will be 2025 to 2040. For a brief rundown on what this means, and comparisons with similar eras and phases throughout history, do take a look at the website and/or the book. If each zodiac sign were a person and they all lived together in a house, what would each sign be doing? Taurus is enjoying preparing a future meal. Gemini, of course, is chatting, at some length, on the phone. Cancer? Planning the next family get-together, feeling a bit teary when hearing that a dear relative will not be able to attend..
Leo is sorting through the wardrobe, deciding which outfit will make the best impression. 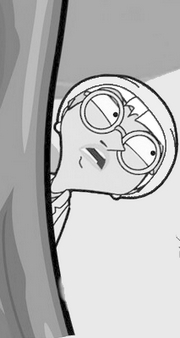 Virgo is checking accounts and complaining that the rest of ’em have been over-spending again. Libra is attempting to calm down Aries and Scorpio who have gotten themselves into a heated argument about going out adventuring…Aries can’t wait, Scorpio wont go and won’t lend the car. Sagittarius is reading some tome on philosophy, but on hearing the Aries and Scorpio scuffle loudly declares an intention to go adventuring, and that Aries is welcome to “come along”. Capricorn is avidly checking how stocks and shares are performing , grimacing at the raised voices. Aquarius is on the way out - to join a protest group, after preparing a large sign for use during The March for Equality - seeing this, Libra follows and they leave together. Pisces? Who knows what Pisces is ever up to? Pisces, right now, is sitting by the window, gazing out, dreamily humming a tune, sipping a glass of wine, deciding whether to send the poems just written to that gorgeous individual met last evening. How can our zodiac signs tell us about our personality so exactly while astrology is considered to be pseudoscience? 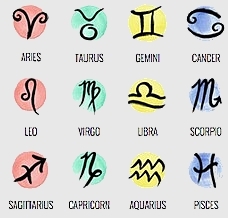 If you are using “our zodiac signs” as another way of saying “our Sun signs”, then it is far from accurate to say that these will “tell us about our personality so exactly”. Sun signs will tell about one facet of personality only, and that facet could well be modified by the rest of the full natal chart’s content. If you are using “our zodiac signs” in a general way - that is “all 12 zodiac signs”, then the unique mix of planetary positions in the signs, in a person’s natal chart , when interpreted by a competent astrologer, will tell many things about a personality - but still not everything. Outside influences, background, education, experience, location also have input to any person’s character/personality. People can define astrology in whatever way they see fit. Because some define it as pseudoscience, does not mean that they are correct, it means they do not have the insight needed to see further than what appears on the surface. It is for each individual to define astrology, as they perceive it, after having the courtesy of studying the basics of astrology, experimenting with it, before validating or demeaning it. I have found astrology signs to be eerily accurate so do not discount them even tho I haven't delved even remotely as deeply as you have. Also I remember some very accurate readings you did for me years ago. A good reminder to anyone is that we are all stardust and the influence is unknowable. No Walls - Heresy or Freedom of Thought? Midweek Meander Around the Issue of 'Othering'. The Future: "like the present only longer"